Officer – a soldier, with military and military-specific training, education and personally to the officer rank. The army officers are the main organizers and direct executors of tasks, ensuring defense and security of the country. Usually in the army or in the Navy – the most common dream of many boys and adolescents. If the desire to make a military career formed from childhood or the young man decided to continue the family tradition of military officers to prepare for this start. If you are a student in school, but have seriously decided to prepare himself for military service, instead of the usual school will do in cadet corps. To do this, you should be fit state of health, transferred in the 5th grade of secondary school, to persuade parents to apply for transfer to the cadet corps. Not too late to do in this case and in 6-9 classes. After receiving a military education, you will receive the initial experience of life in the military collective, basic military training and benefits for admission to military academies and higher military schools. At the end of secondary school do in military school, but even better in a military University. For admission in them you must be 16 to 27 years. Persons from 19 to 27 years old must serve military service in the army. Persons under 18 years of respite or sabbatical at the time of learning. The application can be submitted personally at the admissions office of your chosen educational institution or through the military. Conditions of enrolment in military schools or military schools differ from civilians only in the presence of a compulsory examination in physical training. When choosing a particular educational institution please note that many of them have special requirements for candidates. For admission in Institute of physical culture must have the title or not less than 2 the sports category on one of the sports. For admission to the faculty of military conductors need to be able to play one of the instruments of a brass band. Complete the full training program of your chosen military school or College. At the end, perform final qualification work, and pass the final state exams. Under condition of successful passing the exams you will be assigned a primary officer rank – Lieutenant. Can become an officer without a military College or University. He graduated from civil University with military Department. Subject to the successful study and successful completion of exams you will also be given the rank of Lieutenant of the Russian army. Don't know how to contact you to stop the traffic police inspector? I can not understand in what rank are recruiting employees? If you don't want to offend the man in civilian clothes, then you should remember what is depicted on the shoulder straps and to which title applies to each image. Distinguish between empty shoulder straps. In the army they say: "Net straps" a clear conscience". And a clear conscience is usually ordinary. If you see the straps without any images, you know - before you private. Look at the stripes. Some military is stripes (stripes), as a rule, non-commissioned officers. The corporals - one insignias, NCOs have two stripes, sergeants three. The senior Sergeant has one but wide insignias, the elders – wide longitudinal insignias. Look at the stars. Have warrant, there is no Lychak, but there are stars. 2 stars, located along the length of the shoulder strap, and the absence of any stripes means that you face the ensign. If the stars are not two, but three, then you have a senior warrant officer. Look at the stars and stripes. From the officers to the stars and stripes are added. At the Junior Lieutenant on the epaulets, one stripe and one small star. But the star is less than that of warrant officers. Lieutenant – two stars on the edges from the strip; senior Lieutenant, three stars. There are two of them as Lieutenant, and one above. 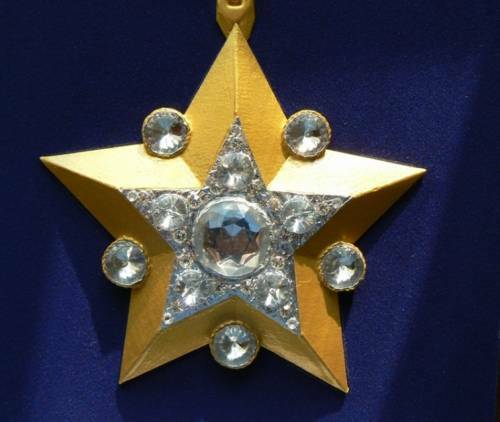 On the epaulets of the captain is, plus another star which is even higher. Major shoulder straps have one big star and two stripes on the sides of the star. In analogy with the Lieutenant: two stars down and two lanes are on the shoulder straps Lieutenant Colonel, the third star from the top – the Colonel. Distinguish between the patterns on the shoulder straps. The patterns are uniform for the generals. If the top of the pattern, there is one star, major General, when two stars along the shoulder strap (the generals they only along), then you – the General-the Lieutenant. Three major stars in the pattern suggests that their owner – the General-the Colonel. 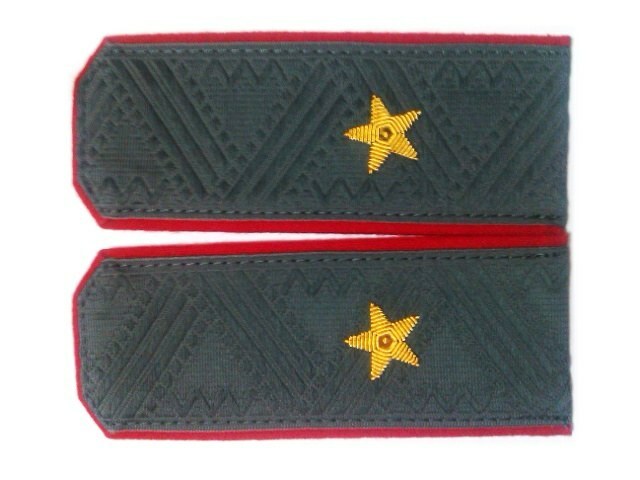 Four stars is only General of the army. Marshall wears on the shoulder straps a very big star and double-headed eagle. 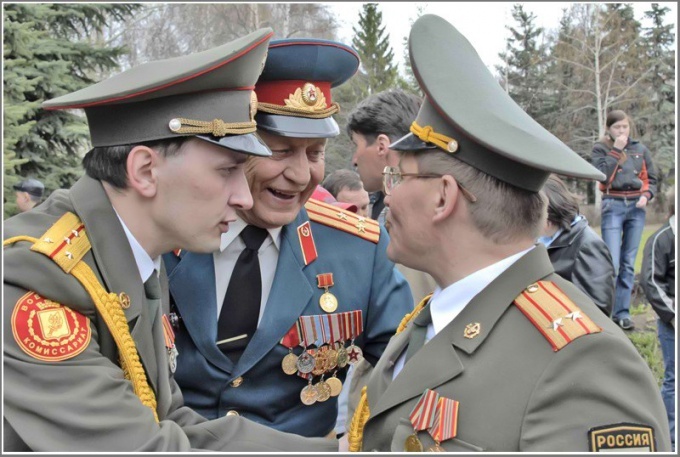 The officers of the Russian army at all times had a special relationship. They were considered the elite of society, and the strength of the army consisted in their bravery and nobility. To be an officer is considered prestigious. But the officers ' epaulettes are given with great difficulty and not for everyone. What you need to do to get officer rank? 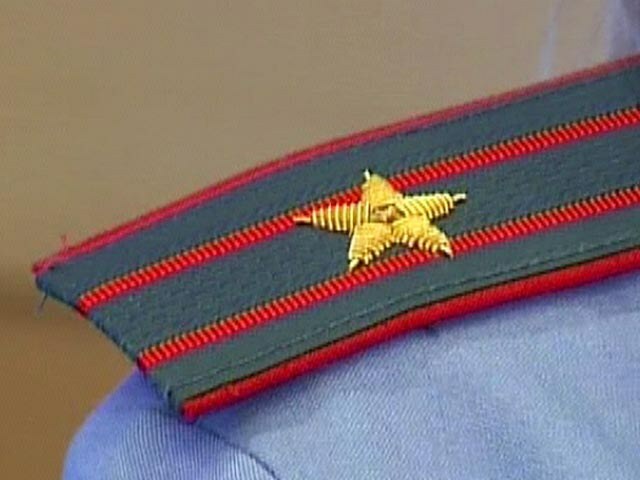 In order to obtain the rank of officer one must be worthy and honor to wear the uniform of the Russian army. 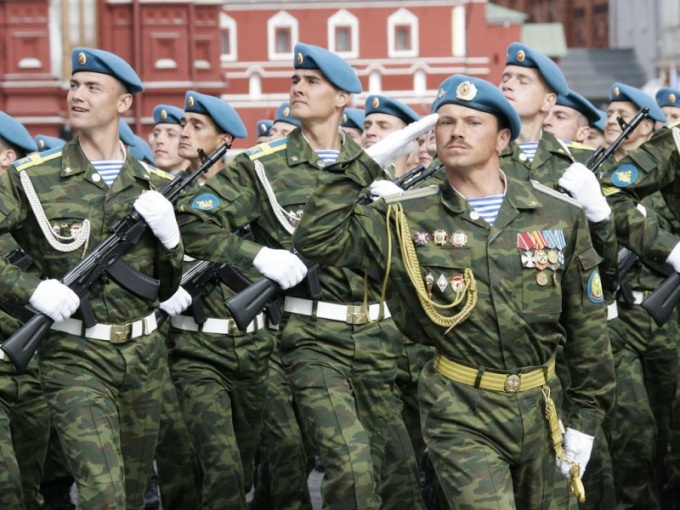 In addition to high moral qualities and stressoustojchivosti for officer ranks require the best knowledge of the statutes of the Armed forces of the Russian Federation, the ability to handle weapons, to supervise subordinate personnel, tactical and physical training. In addition to the above qualities, you must be skilled in professional activities and be able to carry out their work in difficult field conditions and extraordinary situations. 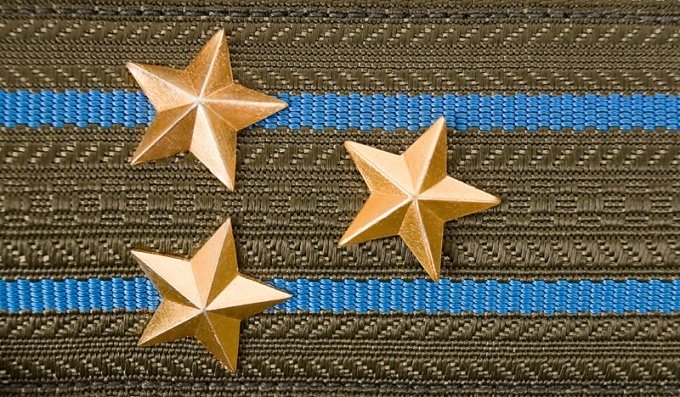 For officer ranks, you must successfully graduate from a military school, Institute or Academy. It's not an easy path, but after receiving the officers ' shoulder straps so you become a career officer, which is much more honorable than certificated officers a citizen. You can also obtain the rank of officer, after graduating from a civilian institution with the military Department and successfully completing field training. But to serve in the army such officers are rare, and are immediately transferred to the reserve. Officer rank can be obtained by having higher education and having passed special accelerated command courses. In recruiting civilian experts in the organs of state security have resorted to such methods of assignment of officer ranks. To obtain the next rank of officer required to take up a position under this title. Ie if you have the position of captain, and you're the captain, then the next rank you get will not. To start you will need to occupy a major position, and only then, on the seniority you will be able to assign the rank of major. In some cases, as an incentive, you can get officer rank one step above the position. You can get officer rank early as an incentive, at the discretion of management, with an impeccable record and distinguished themselves in the professional sphere. Such cases are rare but can occur. Honors combat and combat training always valued and allocated in the national army. But in order to get the next rank, you must exercise your own abilities. Sergeants in the army are only those who are truly worthy of such a title. How to earn such an honor? To serve in the ranks of the army recruits come in as ordinary. But over time, provided flawless duty military get the next rank. During service in army as soon as possible to obtain shoulder straps of Sergeant, try to adequately serve and follow the Charter. 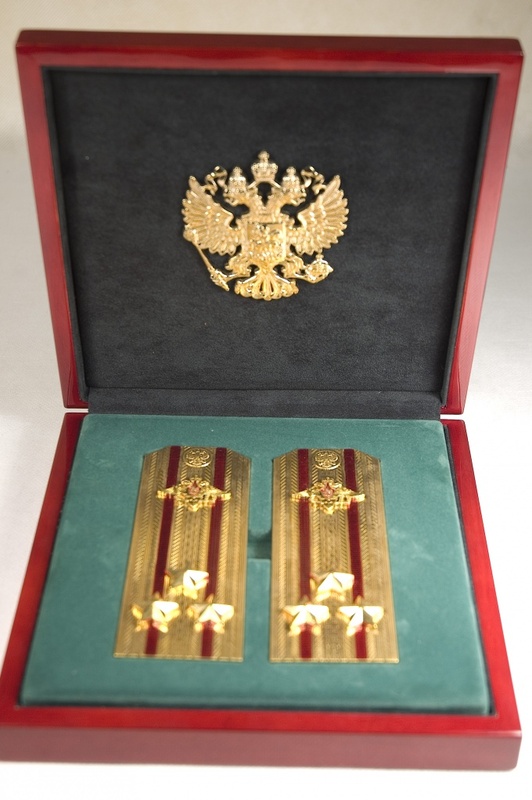 When awarding military ranks of attention not only on the personal qualities of the soldier, but also on perfect knowledge of the regulations of the Armed forces of Russia. Potential Sergeant must know how to handle military weapons, have leadership qualities, able to lead other soldiers. Moreover, estimated physical and tactical training of the soldier. The Sergeant must be able to quickly navigate in difficult conditions and find a way out of unusual situations. To obtain a NCO rank requires a number of conditions: the experience of military service at the call of full secondary education, no criminal record, good condition. In addition, the potential Sergeant must possess leadership qualities and realize the degree of responsibility assigned to it. To obtain the rank of Sergeant, for a start, go through the training part. Cadets that graduate from training on the special training program for sergeants "excellent", receive the rank of Sergeant. Also assign it to those who are deemed worthy of getting another title and to appoint to those positions, which provides the rank of Sergeant States. 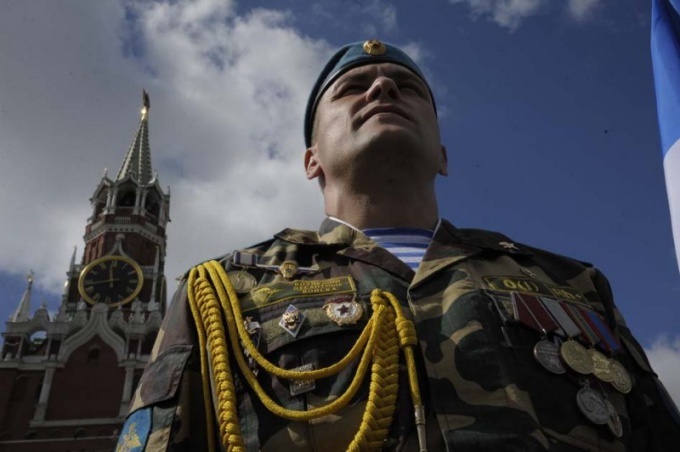 The NCO rank is assigned to those soldiers who have already served for a period in the ranks of the Russian army. In some cases, a Sergeant can become prematurely as a reward for certain services. For this you must have an impressive track record and check special actions. To the first officer's rank is not that difficult. Sometimes it is enough to visit certain times the University military Department. However, promotion is only possible if your officer rank will match the positions you occupied. Please note: from 1 January 2008 increased by 1 year the terms of service for receiving next military rank. The form and content of submissions to receive the next military ranks are approved by the heads of Executive authorities of the region, which provides military service. The idea for the next title must be issued no later than 2 months before the end of the life of the soldier in the previous title. This document is issued on the prescribed form and signed by the immediate commander of a soldier. After the presentation is sent through the personnel Department to the commander (chief) who has the authority to resolve this issue. - certified copies of documents confirming professional education. If the citizen has held or is serving in the Ministry of interior, customs or the tax office, and the bodies win the first or another title he can be rated only on the results of the recertification of the special Commission pieces. The view is also signed by the immediate commander of the soldier and sent through the personnel Department senior management with delegated authority. Military rank of Junior Lieutenant or Lieutenant may be assigned to persons with special military education trained at military departments of higher education institutions having state attestation (by the way, not only Goa, but also the KNOW). The same title can be given to its citizens who have graduated from secondary vocational or higher educational institution in some fields, related military occupational specialties (medics, military engineers, railroad workers). To get the first officer's rank, it is not enough to be brave, principled, physically and mentally stable. 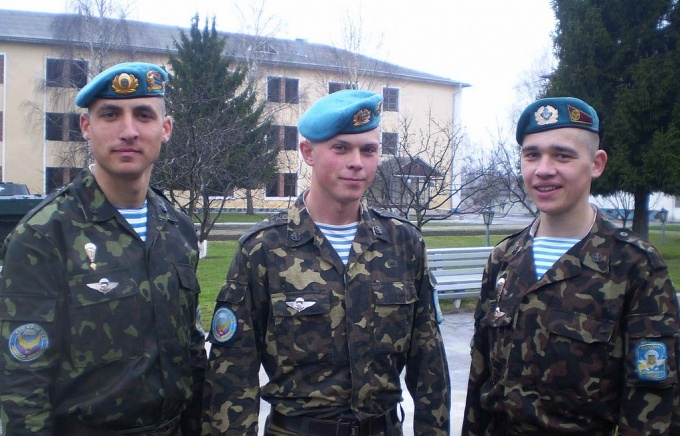 It is necessary to have a dedicated military or military-registration education. He graduated from military school and at the end of final exams will receive the first officer rank – Lieutenant (in some cases – Lieutenant). But before you get this rank, you will have over 4 years of study according to special programs and maintain excellent physical shape at least in order to successfully pass the intermediate exams and pass the final examination. At the end of such institutions as, for example, Military medical Academy, you can get the title of Lieutenant of medical service. However, the timing of training in such universities - 5-6 years or more. However, the specialty of the military physician (or a military engineer, if you decide to enroll in the Academy of Military engineering) are good that you will be able to continue service in the armed forces or to leave if you wish "citizen". At the end of some universities where there is a military Department, and of passing the 80-day fees or the certification fee you will also be able to obtain the officer's rank - Lieutenant (Lieutenant) reserve. To the first officer's rank can graduates some secondary specialized schools, if specialty, which they received, can be conditionally related to military-registration (health care workers, railway workers). - certified copies of documents attesting to the obtaining of higher professional or vocational education. The idea for the title must be approved by the heads of Executive authorities of the region, in which an officer received an education. Military service is a kind of examination, the time when a young boy turns into a brave, strong and completely independently of man. Preparation for service – an important point that should be taken into consideration for admission to the army, where the future fighter will be in the next year or two. stadium or sports ground with an athletic fixtures. Military service is an important event in the life of every young person under eighteen years of age. The army makes young guys independent and courageous personalities. Training service is a range of activities in which each youth of premilitary age will be able to meet the requirements of different troops. Learn to do real military exercises. Charging is required, which expects a young warrior in any of the troops in which he would never had the opportunity to serve. Army charging takes at least half an hour and consists of three parts that together make up a whole. - the end (slow soothing running when you go walking with breathing exercises and muscle relaxation). - integrated the exercise of force – the maximum number of trunk bending from the initial position lying on the floor to touch the hands of socks for 30 seconds followed by bending and straightening the arms in emphasis lying (40-48 times). On the basis of well-being after performed exercises make a conclusion about the need to practice more or less often. Discipline yourself to a regime. Get up early (5-6 hours), go to sleep and eat always at the same time. To sleep spend at least eight hours. Start to prepare for service in the army less than six months before enrolling in the ranks of troops. And then problems will not arise. Major – the first of the senior officer ranks, which was introduced in Russia under Peter the Great in 1698. However, now on the shoulder straps adorned only one star, not two as it was before. Go to service in the regular army. If you are under 18, you have the right to serve under conscription or contract. In this case, you will become a member of the armed forces. 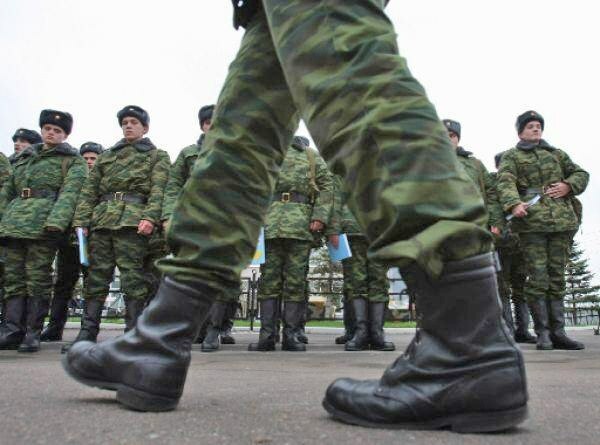 As of 2012, the conscripts serve only one year. For the first six months they can get the rank of Junior Sergeant. Then have the option to purchase additional stripes on the shoulder straps and become a Sergeant or staff Sergeant. Will enter the highest military educational institutions. This can be done after graduation or the annual service in the army. In a similar study 5 years and get upon successful completion the title of Lieutenant. You can then continue the service and to "Lieutenant" and "captain". 2-3 years after receiving the rank of captain has the opportunity to be a major. Move up the job ladder. Remember that the title you give is either for success during exercises or combat operations. If you do not send in "hot spots", then you need to show a healthy lead. Namely, consistently command a platoon, to put you later company commander. Subject to the successful work you will receive the position of Deputy battalion commander and assigned to the rank of major. Finished military Department or military training center. The opportunity exists among students of higher education institutions on the basis of which is military training. If you have the desire to become an officer, choose a University where there is the MTS (military training center). You will need to pass a 5-year training, after which you will assign the title of "Lieutenant". Will ProSuite 3-5 years in the armed forces of the Russian Federation according to the signed contract. Usually, graduates of military educational centers serve 3 years. Then they are either transferred to the reserve or continue the service. During the contract service you can reach the "Lieutenant" and "captain". Even after 2-3 years it is possible to obtain the rank of major upon successful command over the composition of the company during the exercise. Follow the important instructions of superiors. Handle the execution of major combat tasks. Show their best side during the exercise. Do your duty bravely during actual combat, if you become their member. Then you will receive not only the title, but also awards. In Russian army, there are military and naval rank. To memorize a large list of military posts and the order of their appointment, refer to the list of ranks in ascending order. The soldiers begin their service in the army as a simple rank and file, and the first increase occurs up to the rank of corporal. It can give for excellent study and successes in combat training. The following three posts are a Junior Sergeant, Sergeant and senior Sergeant. The rank of Junior Sergeant get the results of special courses, and senior sergeants assign the most responsible and able to manage subordinates. Concludes the chain of titles of the military order of the foreman. Each title can be obtained through 2-3 years, but in some cases after 1 year. In the Navy has its own system of military ranks. Private employee — a sailor receives his first promotion to leading seaman. This is followed by petty officer 2nd article petty officer 1st article and master chief. Makes a chain of the order of 1 chief petty officer. This is followed by the title of warrant officer and senior warrant officer and in the Navy, these positions perform warrant officer and senior warrant officer. For the position of ensign soldiers take courses of special training. Finally start Junior officers. First soldier awarded the rank of second Lieutenant by completing courses in military training. Then received higher professional education, is assigned the position of Lieutenant who leads a platoon. Then follows the rank of Lieutenant, Vice commander. The highest rank among Junior officers of the captain, which is awarded after 4 years of service as a senior Lieutenant. Captain is a company commander and Deputy battalion commander. In the Navy after the second Lieutenant, Lieutenant and senior Lieutenant should be the title of Lieutenant. Thus, if a soldier has a military occupational specialty medical or legal fields, then to add to his title the words "of medical service" or "justice." Duties and powers increase at the senior officers. The first assignment in this position receives major. This position is, as a rule, heads of services and the chiefs of staff of battalions. Then follows the rank of Lieutenant Colonel and then Colonel. The rank of Lieutenant Colonel assigned after 5 years of service in the position of major. Naval ranks from senior officers — captain 3rd rank captain 2nd rank captain 1st rank. 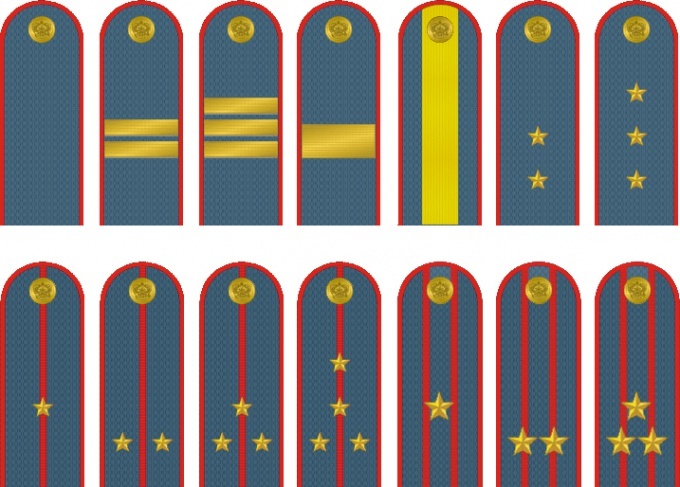 The highest military posts in the higher officers. The Colonel received the title of major-General. Two years later he can be promoted to the rank of Lieutenant General. Then is awarded the title of Colonel-General. And the most important military posts occupied by the General of the army and Marshal of the Russian Federation. The military rank can be assigned ahead of time for special merits before Fatherland. In the Navy senior officers to receive the rank of rear Admiral, Vice Admiral and Admiral of the fleet.